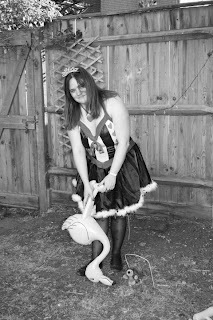 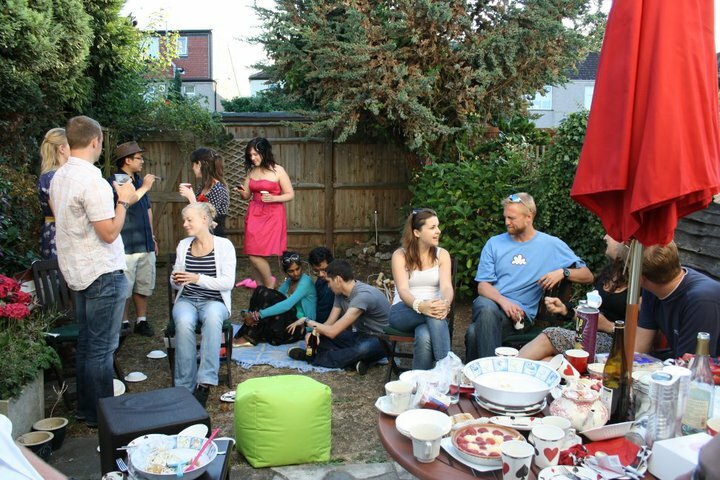 Last year I held a housewarming party with an Alice in Wonderland theme. 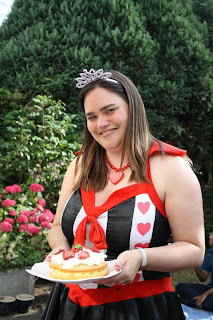 This is me, as the Queen of Hearts - who made some tarts, and quite a lot of other cakes as well! 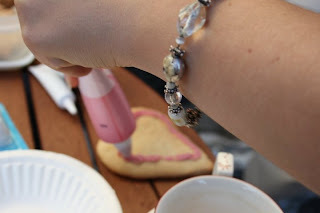 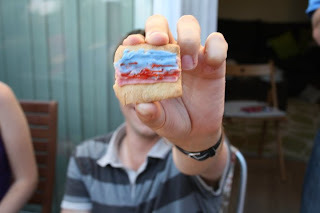 I just fancied putting a few pictures on this blog to reminisce... 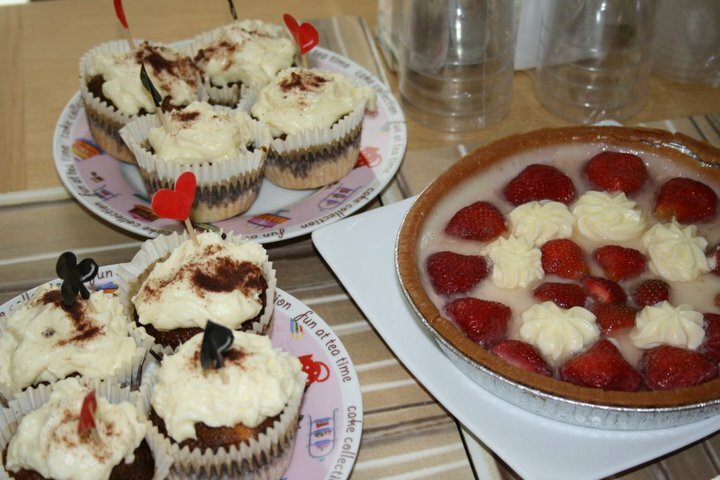 I can't even remember what half the cakes I made were! 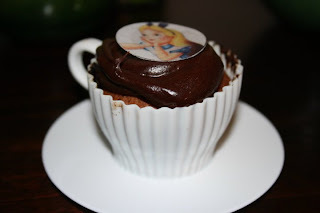 I made some cupcakes in little cup and saucer cases - they come in a pack of four and the cup part is made of silicon, so you actually bake the cake in it, then it comes with a little saucer to serve it on. I bought rice paper cake toppers with Alice in Wonderland pictures from Ebay. 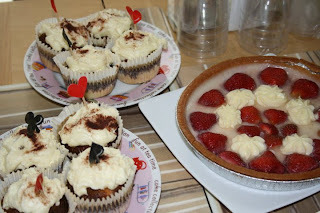 I think the cakes were chocolate! 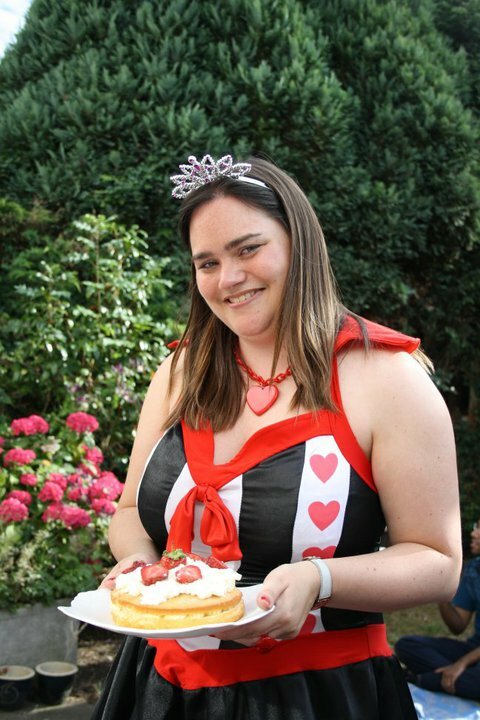 I put up loads of 'Alice' themed decorations, including various playing card designs. 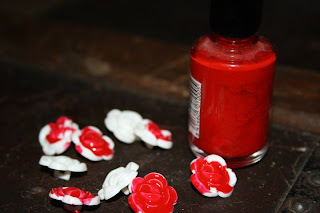 I also bought some plastic roses (they are actually buttons), again from Ebay, and painted them red... like in the story! 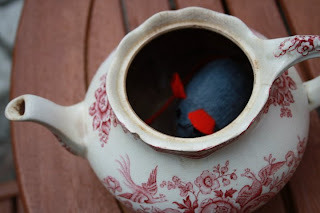 I also put a doormouse in the tea pot :-) Though this was a 'vintage' (i.e. second-hand) tea pot from a car boot sale, and not the pot I was actually using to make tea in! 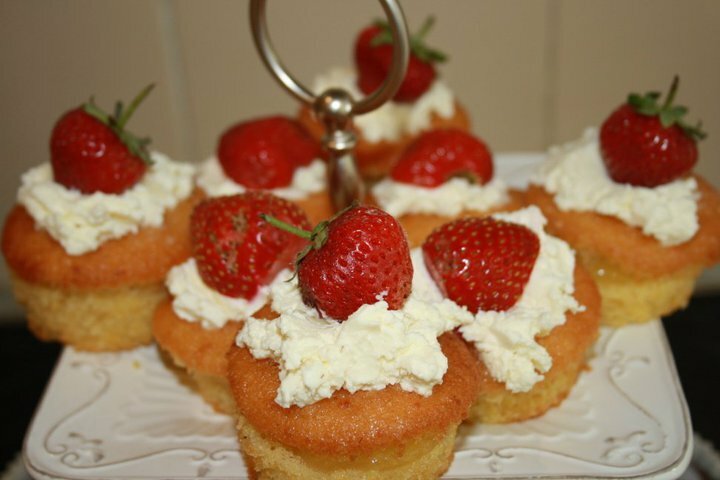 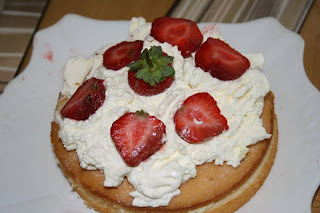 Another strawberry-topped cake... I took a day off work before my party and spent most of it baking! 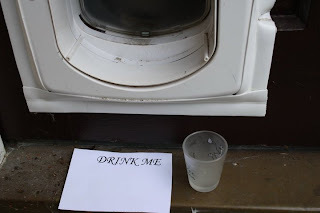 I thought it would be fun to put a 'drink me' note and a shot glass (which was empty to be on the safe side) outside my cat flap, so people could shrink down and enter the house that way! ... and decorated biscuits that I had baked. Not sure what this one is supposed to be! This looks like such great fun! 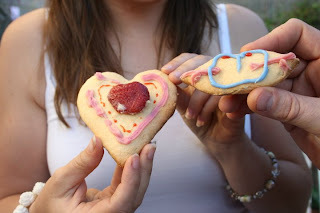 Love the theme and the bakes.